You want the best cheap vlogging camera for YourTube, that has a maximum value, looks cool and under 200 dollars, we’ll show you what cameras are good and why. The prices starts for vlogging cameras under 100 dollars, with technically no upper limit. What you need is a cheap, nifty, handheld, good vlogging camera under 200 dollars that will enable you to shoot good videos with great image quality. In this article we bring you the top 5 best cheap vlogging cameras under 200 dollars. 1) There are even better vlogging cameras under the Youtube camera umbrella, you can explore more with our list of the best vlogging cameras of 2017 and 2016, and there are cheaper cameras too, but we are giving you the top cheap camera, the optimum combination of price and quality features, not to mention looking cool. 2) The best cheap camera for YouTube vlogging, if you are a beginner or just starting your YouTube channel. What you get when you mix budget with quality is essentially what we are talking about here, how little can spend on a good vlog. 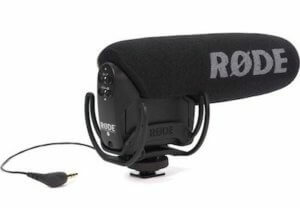 One another optional yet necessary factor to consider is an external microphone like the Rode Shotgun Mic, which is not featured in many best-reviewed models. However, you’ll find most cheap cameras don’t have an external Mic input so the best thing to do is use an external mic with your smartphone, and then match it together in editing. If you are wanting to be as portable and hidden as possible use a lav mic from Rode, you can plug it into your phone clip it to your shirt and record on the move, it works great. But, freak yourself out with all the unknown stuff, try them out, as you can easily buy an external one and get more value for your money other than spending few hundreds more on a camera that has a microphone input. If you prefer to copy your favorite YouTube stars check out our list of YouTubers and what cameras they use. The ELPH earns is place as one of the best point and shoot cameras under 200, one of the easiest to handle Canon compact camera, and is hence preferred by a lot of famous vloggers. The first model, ELPH 330, came out in 2011 and since then, people have been using it to create vlogs that involve a lot of talking and walking. This makes it the perfect choice for outdoor activities and starter vloggers. 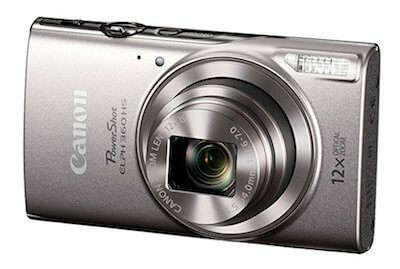 With an average battery life but superb video quality (1080progressive full HD), Canon PowerShot ELPH 360 HS is the best budget camera you can get for under $200. While some of the ELPH series models have front microphones – a reason why most vloggers prefer it over others – the 360 HS does not have one. In addition, the low light performance is not that great, but if you balance the pros and cons, then it is perhaps the best camera with the cheap price tag. One other thing that a lot of people fail to notice is the format that cameras generate the videos in. MP4 is the best whereas AVI is considered ancient in 2017. The ELPH 360 HS records in high-quality MP4, which makes it easy to edit the videos in virtually every editing program like Apple’s Final Cut Pro or even the classic Windows Movie Maker. And the added support of WiFi just makes it the best one at this price. 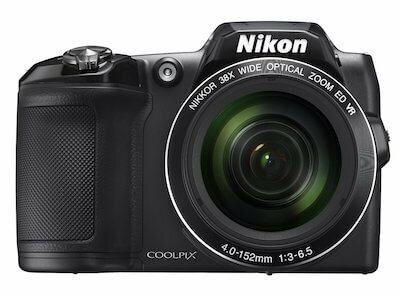 In that regard, it is better than the cheaper Nikon S6900 but not by much. Most YouTubers and travel vloggers tend to base their purchase curve on the single requirement of portability. If a camera is lightweight and easy to handle, they go ahead. They buy cheap vlogging cameras without even considering the more important factors like OIS and low light performance. But, the folks at Nikon seem to have taken notice of this purchase style and have designed the fabulous S6900. Sure Canon is the market leader, but want to give a chance to Nikon, then go with this model, which is the second best vlogging camera under 200 in our opinion and certainly a top YouTube vlogging camera. At 30 frames per second, you can shoot full HD 1080progressive videos with a decent ISO for under200 dollars is a great price. It has a flip-up screen so no problems with selfie videos. One thing that sets it apart from the equally brilliant 360 HS is that it has a front microphone. When beginner vloggers learn about this fact, they log on to Amazon and buy it in the blink of an eye. You can do it, too, but there’s one more thing to consider. And, that is its average battery life. 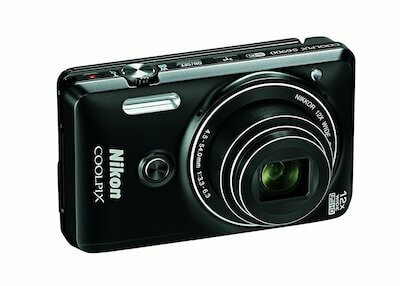 If you invest few more dollars in an extra set of batteries, the cheap solution, with Nikon Coolpix S6900 you will never have to worry about juice or other technicalities while vlogging. Most people who believe in Fujifilm’s technology are the ones who do their vlog indoors. 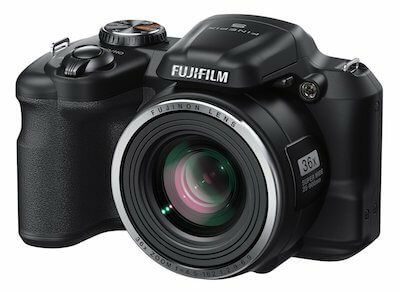 Considering that fact, the FinePix S8600 is a sweetheart, The 720p video camera recorder that looks like a DSLR. It is a simple point and shoot camera that cannot go beyond the 720p resolution, which is why it has only so few takers in the vlogging world. If you are a non-technical person who just wants to shoot videos at home for your product review channel without much dependence on any specific factor, then the S8600 is the best camera for vlogging needs. We personally know a lot of vloggers who use this to film product reviews – they just switch it ON, sit in front of the camera, and talk with the product in hand. However, it is not a flip screen camera nor does it support wireless transfer. It can still make you really happy because it has exceptional battery life for a budget camcorder and is inexpensive for the quality. The biggest rated challenger to Fujifilm’s S8600 is Nikon’s L840 – small and compact camera, brilliant vlogging camera under low light conditions. It is like the black swan of vlogging cameras, but without the negative qualities. Perfect for an indoor vlog, it records in full HD 1080p, has a nice flip screen and built-in WiFi. There is no manual focus, though, but who wants that when you are video blogging, creating tutorials at the comfort of your home. For YouTube low light filming performance is both an asset and a liability in the L840, because we have observed that it works great indoors and under ground, but gives a lot of noise when used outdoors – over exposure. The marginal FPS may have something to do with it, but it’s still a big issue as you won’t be able to use it for an outdoor shooting with a lot of movements. Lastly, it has the best battery life in this list of the top 5 cheap vlogging cameras under 200. If you are still undecided then this PowerShot Digital Camera is your final ‘good / cheap digital camera’ option and really is an excellent point and shoot digital camera under the 200 dollar price bracket. A quality camera. 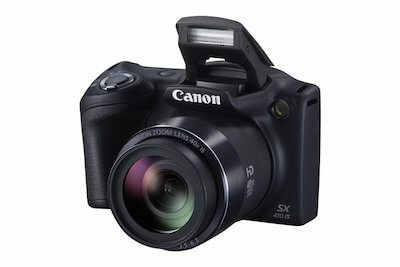 Cheaper than Nikon’s L840, the SX140 IS has the essential manual focus feature but at the cost of low-resolution videos. It’s nice low light performance is not that great either. But, then what makes it the 5th best vlogging camera for under 200? You must be wondering. It’s the manual focus and the “cheapest camera” tag. Perfect for people who want to make your vlog a part-time professional hobby and want a cheap vlog camera with style, the SX140 IS is your best bet in the range. Suitable for both indoor and outdoor shooting, it can be used to create any type of YouTube vlogs – video game commentary, lifestyle videos, interviews, tutorials, prank videos, etc. Get the camera now and be ready to review and answer queries from your fans about the model’s brilliant manual focus feature. Beyond this great canon camera, the only possibility is for you to increase your price budget a little more. If you do, you won’t regret it, we have great vlogging cameras with flip screens that you should check out. There you have it – the 5 best vlogging cameras with the price under $200, cheap, affordable, for beginner vlogging aficionados stepping under the YouTube canopy onto the Vlogging stage. Canon and Nikon share the top prize with two models each in the list. Under those top camera brands, Fujifilm is that underdog who creates good cameras. While these five will give you a fair idea as to what to expect, a cheap camera with flip screen, front mic, 4k, wifi, when you are on a small budget, there’s one big thing that should not be sidelined during your research – ability to record audio. For a vlog, audio is as important as video, and only Nikon’s S6900 has a front microphone(best feature). 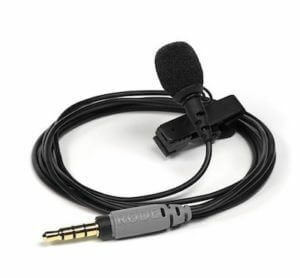 Therefore, it will be crucial to get an external microphone as well along with one of these five. But, then you might think why not go for one which has an inbuilt microphone? The real answer is that manufacturers do not just add the microphone input, increase the price by few dollars, and sell it; they add a bevy of many more features which automatically shoots up the price. However, we also have articles that list vlogging cameras under various price ranges so that you can go through them as part of your research. Beginners must remember, for good vlogging skills, there’s solution to every problem. Cheap camcorders with no Mic… best to buy an external audio input and microphone to solve the audio problem, you can get a lighting setup to take care of your low light shooting needs. Until then, best wishes for your vlogging career, start your YouTube channel and get that video uploaded already.